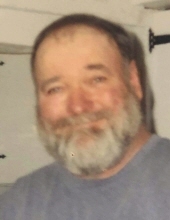 Celebrating the life of Thomas Lee Martin Sr.
Obituary for Thomas Lee Martin Sr.
Thomas Lee Martin, Sr., 74 of Liberty passed away on April 6, 2019 at Waldo County General Hospital. He was born on November 24, 1944 in New London, Connecticut the son of Robert and Estella (Whitford) Martin Sr. Thomas joined the Army out of high school serving as a heavy equipment operator during the Vietnam War. After serving his country he returned home and became a mechanic working at many places locally over the years. Thomas enjoyed food and cooking as well as antique autos and horseshoes. He was a longtime active member of the Liberty Masonic Lodge #111. He is predeceased by his parents; his wife Donna (Porter)Martin; brother Robert Martin Jr.; sister Shirley Campo and nephew Robert Chapman Jr.; children Todd Martin of Liberty, Tammy Birkbeck and husband Gary Sr. of Thorndike, Thomas Martin Jr. and wife Ellie of Liberty, Theresa Butler and husband Jim of Liberty; step-children Angie Anderson and husband Bill of Washington, and Spring Jackson and husband Troy of Appleton; siblings Beverley Chapman, Ronald Martin and wife Pam, James and wife Wendy all of Connecticut, Debbie Martin and sister in law Pat both of Vermont; grandchildren Crystal, Susan, Jarred, Kurtis, Stacey, Mike, Aimee, Gary Jr., Zachary, Jeremy, Garrett, Christopher, Travis, Desiree, Nathaniel, Jessica; many great grandchildren and nieces, nephews and cousins. A memorial service will be held at a later date. Memorial contributions may be made in his memory to the Liberty Mason Lodge #111. To send flowers or a remembrance gift to the family of Thomas Lee Martin Sr., please visit our Tribute Store. "Email Address" would like to share the life celebration of Thomas Lee Martin Sr.. Click on the "link" to go to share a favorite memory or leave a condolence message for the family.